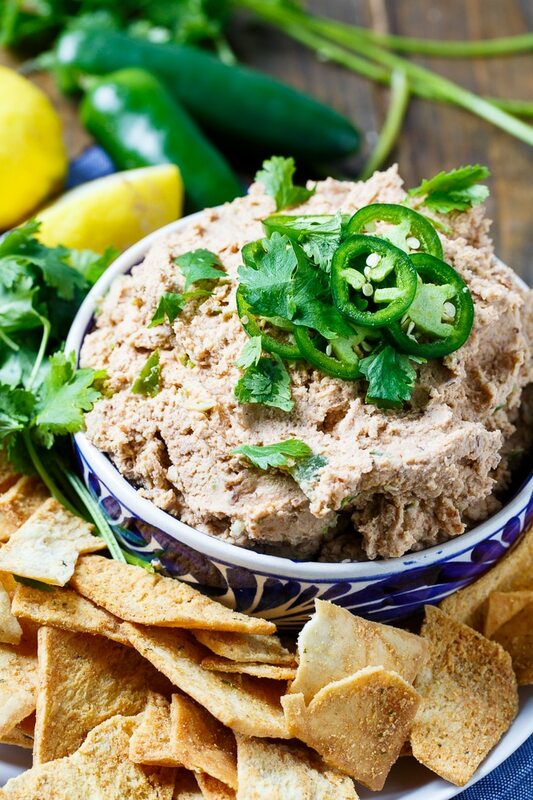 Smoky Jalapeno Black-Eyed Pea Hummus is hummus southern-style with black-eyed peas used instead of garbanzo beans. 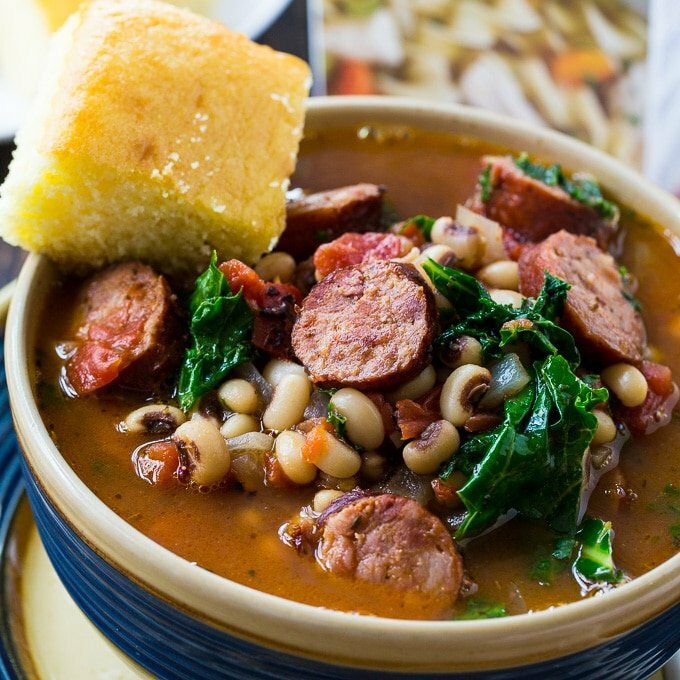 It gets a little kick from some jalapeno peppers and some smoky flavor from smoked paprika. Make it up to two days in advance and serve as a party appetizer or use as a spread for wraps. 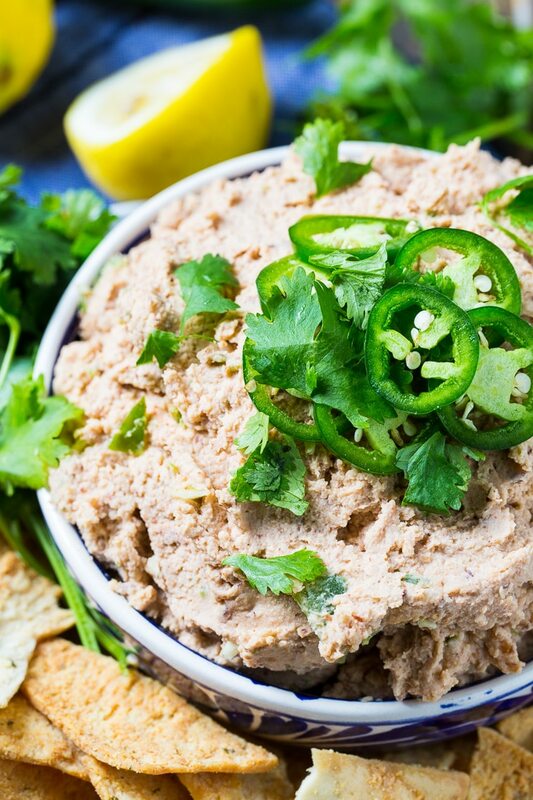 Hummus is one of the easiest and most delicious foods you can make. And it’s healthy too. I love this Black-Eyed Pea Hummus served with pita chips but it’s great with cucumber slices, carrots, and red bell pepper slices. You can use regular canned black-eyed peas, but for extra flavor, look for seasoned black-eyed peas and just drain them, don’t rinse them. You will need some tahini for this recipe. Look for it at the store next to the peanut butter. 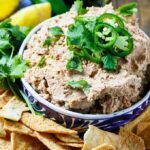 It will stay good in the fridge for several months after opening and you can use it to make all different kinds of hummus. 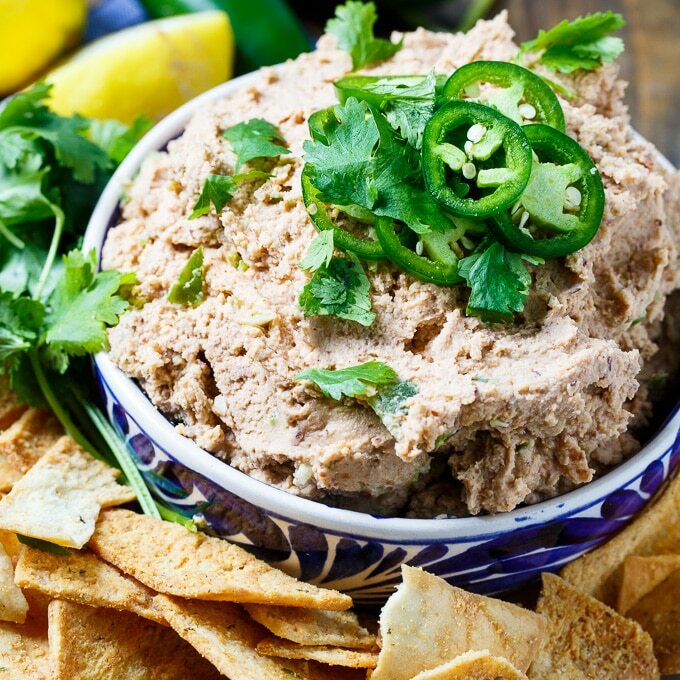 This fun southern twist on hummus is sure to be a hit. 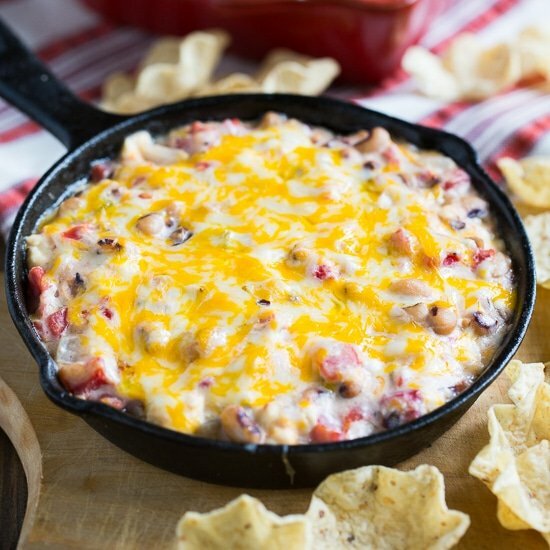 It’s creamy, smoky, and spicy and great for entertaining all year long. Especially New Year’s when you need to ring in the New Year with a little good luck. 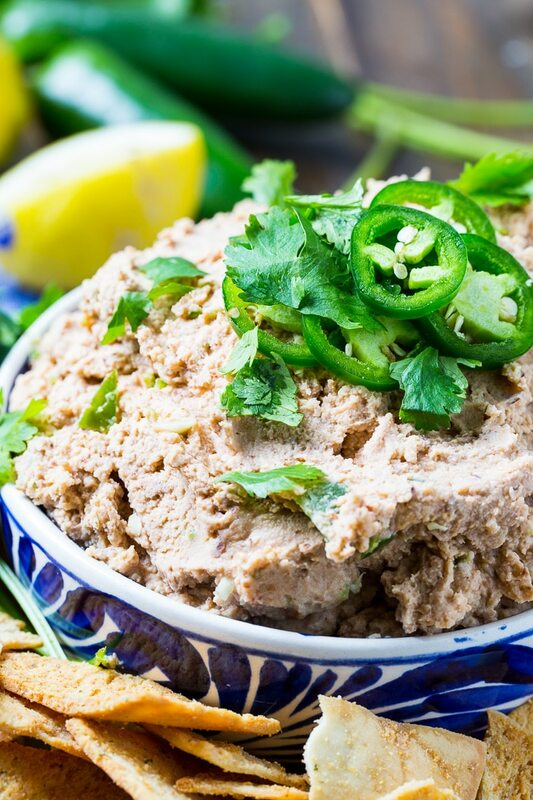 Smoky Jalapeno Black-Eyed Pea Hummus is creamy, smoky, and spicy. Makes a great New Year's appetizer! Process garlic cloves and jalapeno in a food processor until finely chopped. Add all ingredients EXCEPT olive oil. Process until smooth. Transfer to a bowl. Drizzle remaining olive oil on top. Garnish with cilatro and jalapeno slices. This entry was posted in Appetizers and tagged black-eyed peas, hummus. Bookmark the permalink.